Contact lenses are medical devices that have the potential to provide great vision, comfort, safety and convenience. When fitted casually, and worn improperly with little or no aftercare, they can be harmful to the eye. At Dr. Aller’s optometry office in San Bruno, CA, we will teach you how to properly care for your lenses, so that you can enjoy your lenses for years to come. We carefully examine the eyes of contact lens patients to determine the best type of contact lens for that individual. We use lenses from all over the world in an effort to craft the healthiest, most comfortable, lens that will give you the best vision. Contact lenses can be prescribed for Myopia, Hyperopia, Astigmatism, Presbyopia, Dry Eye, Binocular Vision Disorders, Myopia Reduction (Corneal Refractive Therapy or Orthokeratology), and to control the progression of Myopia. At the Doctor’s discretion, additional evaluations may be necessary for your best care. Our staff can discuss them with you as needed. Some of these services are listed below. Dry Eye Testing (LipiFlow) - Additional evaluation of the corneal surface and tear film, necessary for all contact wearers, corneal refractive therapy (CRT) and refractive surgery patients. Topography (Medmont) - Additional digital mapping of the corneal surface, necessary for refractive surgery and corneal refractive therapy patients, and for some contact lens wearers. May also be necessary for some patients with corneal irregularities or disease. Pachymetry - Pachymetry is the ultrasonic measurement of corneal thickness, necessary for refractive surgery patients, Corneal Refractive Therapy, extended wear contact lenses and glaucoma suspects. Threshold Visual Fields (Zeiss Matrix) - Comprehensive testing of peripheral vision to evaluate the extent of vision loss in glaucoma and other vision and neurological disorders. Optical Coherence Tomography (Optovue OCT) – Our new OCT is an amazing instrument which allows us to see the structures of the eyes in incredible details. It allows us to detect glaucoma and other eye diseases at the earliest stages and can help us to preserve and protect your vision better than ever before. We have an on-site laboratory for excellent quality eyeglasses in about an hour. We have 800 frames on display, including lines such as Calvin Klein, Giorgio Armani, Silhouette, Michael Kors, Christian Dior, Kate Spade, Tommy Bahama, Aspex and Takumi Magnetic Clip-ons, Flexon, Nike, and many more. But having a bunch of frames to look at is not as important as having an incredibly well-trained staff that cares about helping you pick out just the right frames for looking great and seeing great. 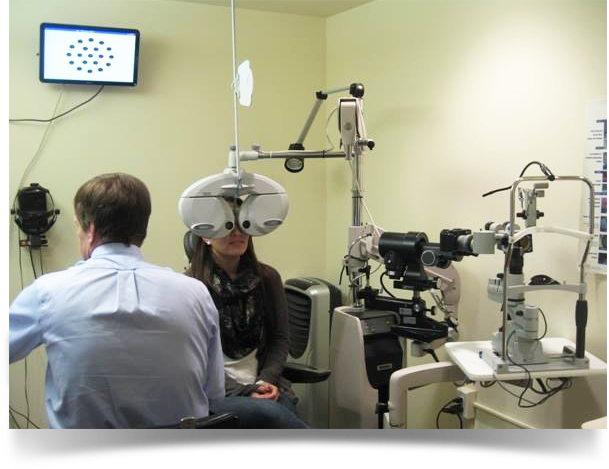 Dr. Aller and his staff offer the most advanced eye care treatments in San Bruno, CA. We are constantly updating our knowledge with the latest technology and new methods & prescriptions to better serve you. Corneal Refractive Therapy/Orthokeratology (OK). OK is a non-surgical, overnight treatment with customized gas permeable lenses to reduce or eliminate myopia and astigmatism overnight with good daytime vision without contact lenses. Refractive surgery Co-management – We will coordinate your care with the best surgeons to correct nearsightedness, farsightedness, and astigmatism through surgeries such as laser, cataract surgery, implantable lenses, Intacs and Corneal Cross Linking for Keratoconus. Medical Treatments for most eye diseases and conditions. More than 300 million people worldwide suffer from MGD, a chronic and progressive disease that results in eyelid meibomian gland obstruction reduced glandular secretion. Chronically clogged glands become unable to secrete oils which results in permanent changes in the tear film and dry eyes. Dr. Aller has established a dedicated dry eye clinic to determine the best Meibomian Gland Dysfunction treatments for your specific needs. If you struggle with irritated and dry eyes, schedule your appointment Dr. Aller for a complete eye examination and dry eye evaluation today. Chronic dry eyes are a common ailment among countless people throughout the Bay Area. In many cases, the itching and burning sensations can make life extremely miserable. Dry eye is a condition when your tears are unable to provide sufficient lubrication for several reasons. Many people experience this condition in air-conditioned rooms, airplanes, riding a bike or even looking at a computer monitor for several hours. In addition to his expertise in orthokeratology and myopia, Dr. Aller has developed an intense interest in the latest treatments for dry eyes. He and his staff always place a priority on patient comfort and safety. If left untreated, severe dry eyes can result in the damage to the front surface of the eye and cause long-term vision impairment.